The Tummy Tales: Chicken Pepper Fry!!! Life has its share of funny moments. I must mention an incident I came across recently when dining at a restaurant. A steward was taking down orders from a guest. At the end of a reasonably long list the guest ended by ordering “lamb pepper fry with no pepper please”. Hilarious as it may seem, it took the bemused steward quite a while and some effort to convince the guest about the importance of pepper in lamb pepper fry. That incident though set the tone for my post this week. 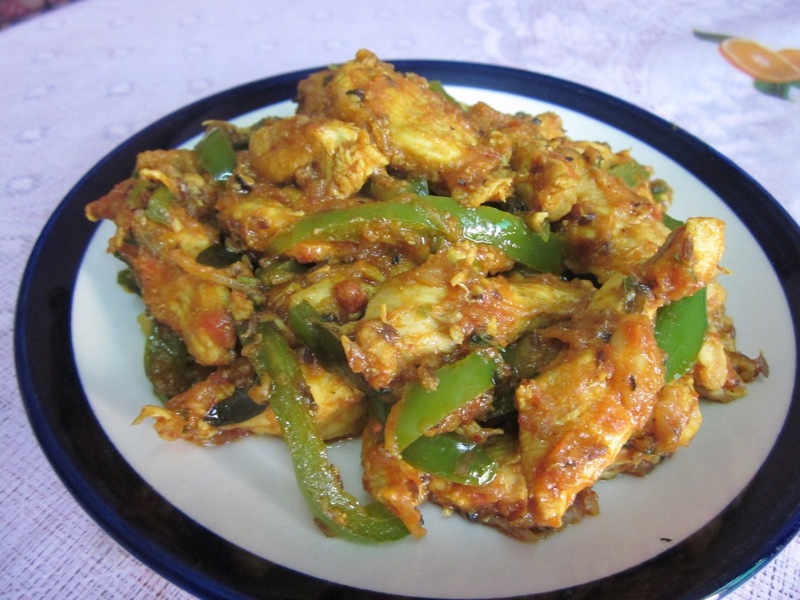 I have adapted the Chicken Pepper fry from the famous Kerala dish, the Lamb pepper fry, better known as theLamb Chop Pepper fry. For those of you who have been to Kerala, I am sure you would have fond memories of the lovely backwaters and scenic hills there. A lesser known fact is that the food over there is equally good. No wonder then, that Kerala is so rightly called “God’s own country”. The cuisine of Kerala is in many ways similar to Manglorean cuisine; flavored with coconut and generously seasoned with pepper. As mentioned, the original dish is made with lamb, though I played around a bit and made it with chicken. The best thing is that it gets done in about 45 minutes and can be had as an entree or even as a main. Although at my place we dont like our food too spicy, I adjusted the pepper just enough. My suggestion, is be liberal with the pepper, that huge spice burst just as you swallow the morsel is impossible to describe and must be experienced. Please do give it a try I am sure the pepper will leave a lasting impression on your palette; just like the scenery of Kerala leaves an everlasting impression on your mind. Heat oil in a pan. Slice the onions finely and brown them. Once done take them out and drain on an absorbent paper. In the same oil add cumin seeds, curry leaves, ginger garlic paste and cook for a while. Add the chicken pieces and let them fry well in the oil. 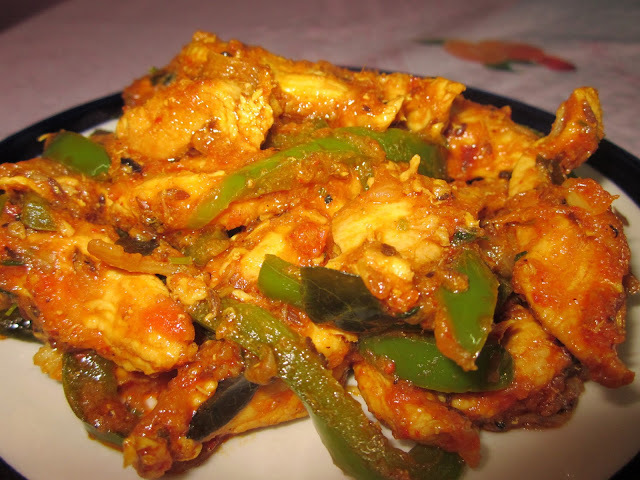 Once the chicken begins to brown slightly, add the tomato puree, capsicum and stir well. Add in the chilli powder, turmeric powder and stir well. Lastly, add in the pepper and mix well. Just before serving, add in the juice of lime.